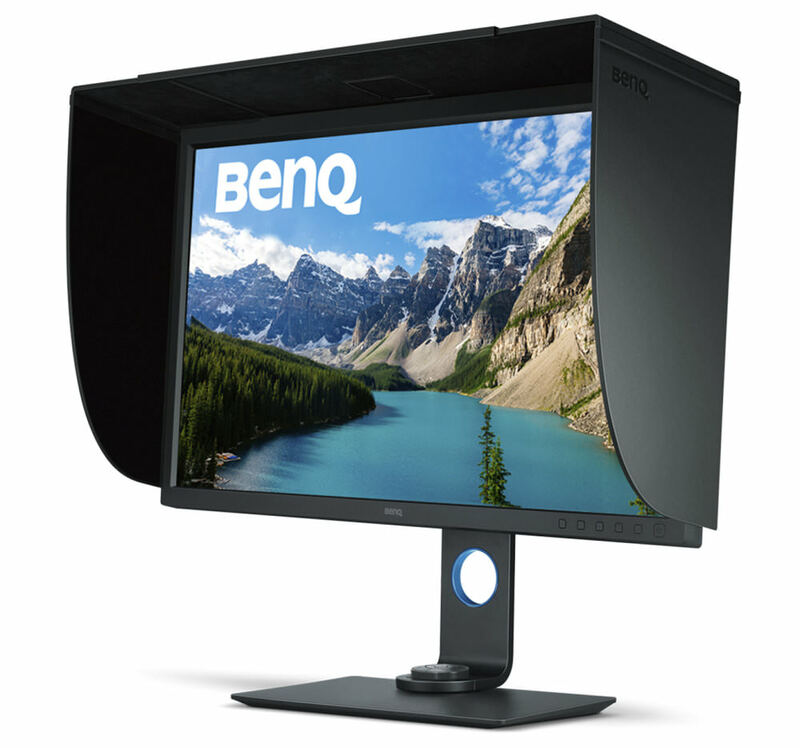 The BenQ SW320 is a 4K 31.5inch wide-gamut colour monitor offering 99% AdobeRGB colour, 100% sRGB, 4K UHD resolution (3840x2160), plus support for High Dynamic Range (HDR 10 content), and 10bit colour. There's a darkroom and a black and white photo mode, and the monitor includes a shading hood as well as a controller, all for around £1250. Brightness uniformity function (can be switched on/off in menus) and makes the screen brightness more uniform across the screen (without any bright spots or areas). 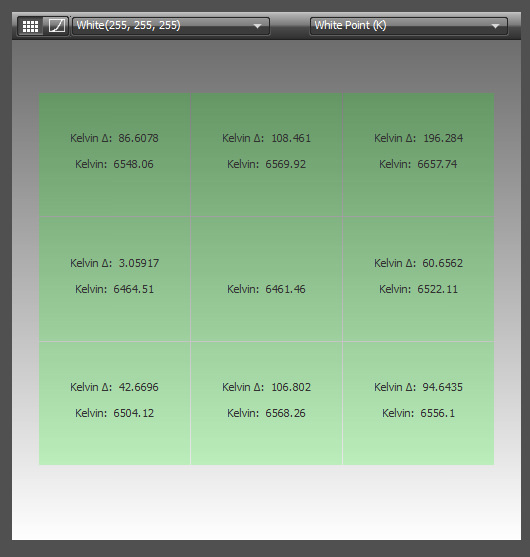 Hardware calibration with palette master element software. The monitor uses an IPS panel, with viewing angles of 178/178 degrees. The monitor can display 1.07 billion colours, and maximum brightness is 350cm/m2 with a contrast ratio of 1000:1. Video inputs include HDMI, DisplayPort and Mini DisplayPort, which supports continuous 10bit colour reproduction for smoother tones. Response time is 5ms grey-to-grey, which should be good for video (and gaming), as response times below 8ms are generally considered good by today's standards. The monitor also features a built in USB3 hub, and SD card reader. 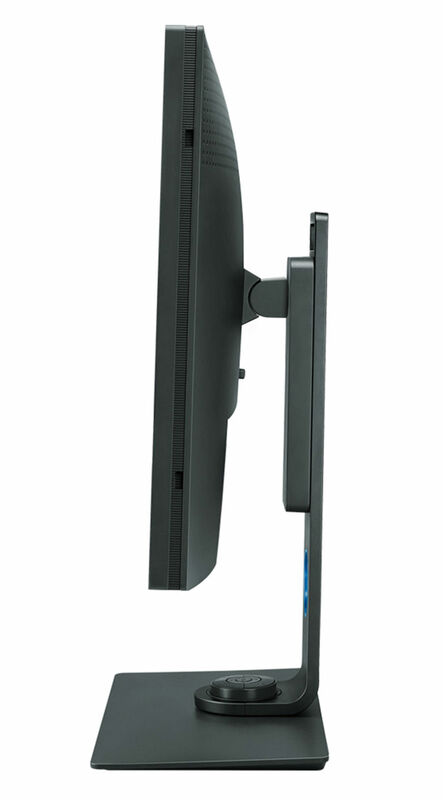 The monitor is supported by an easily manoeuvrable height adjustable stand, which easily accommodates the monitor in both landscape and portrait orientation and makes it easy to find a comfortable viewing position. The design includes a route for the cables, as well as a place to put the Hotkey Puck / remote control, which plugs into a MiniUSB socket in the back of the monitor. 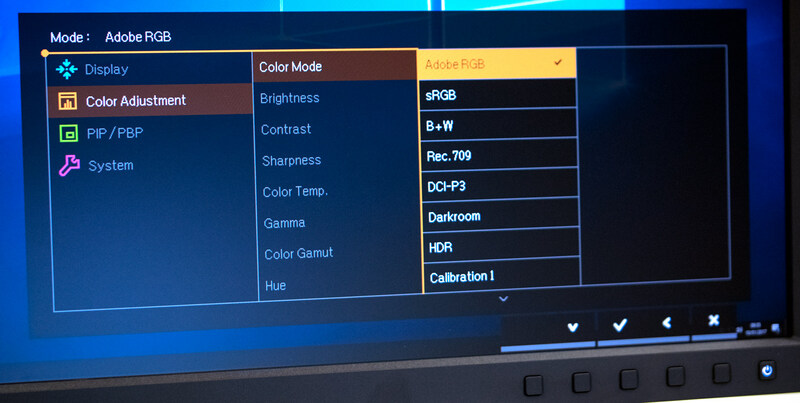 Designed for photography, and colour accurate work, the monitor is designed to work with BenQ's Palette Master Element software, which is used to calibrate the monitor display, and updates the monitor's LUT (Colour Look Up Tables) to ensure accurate colour is consistently displayed. 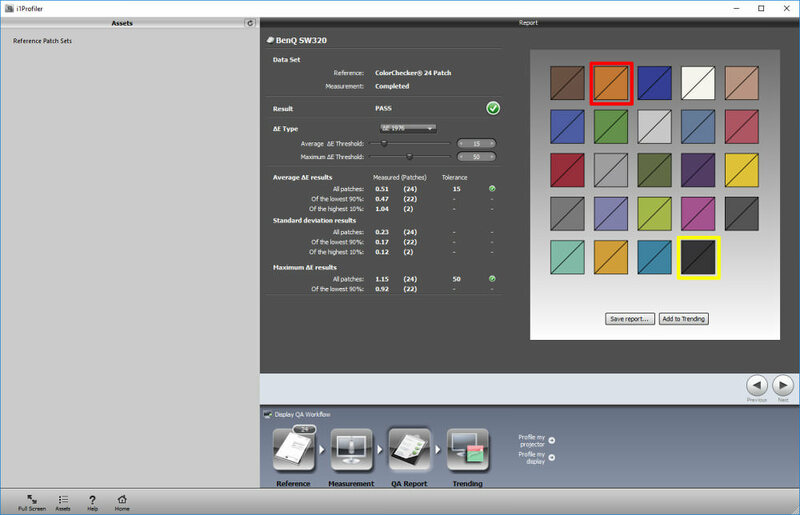 The monitor is calibrated at the factory, and a sheet is provided to show the results of calibration with a maximum colour deviation of below 2 (1.69). It's a good idea to calibrate regularly and to do this using the provided software you will need to use a calibration device such as a Spyder4, 5 or i1 Display Pro. 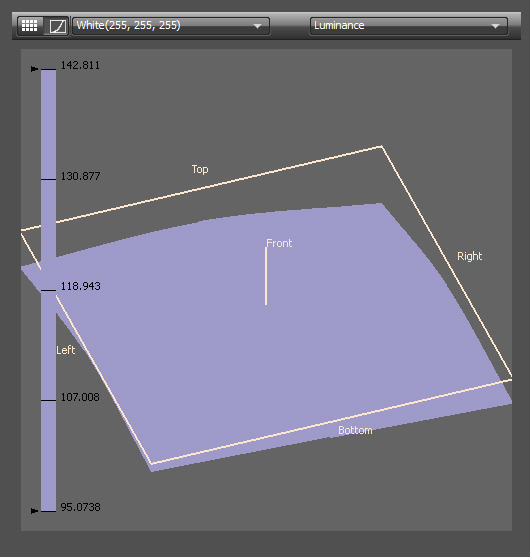 If you use multiple monitors, then it's worthwhile calibrating both devices. DisplayPort, Mini DisplayPort, and HDMI inputs are included for connecting to various types of graphics adapters, and in order to get the full 4K UHD resolution, you'll need to ensure your computer hardware is up to the task. We used an NVidia Geforce 1050 graphics card with this monitor. When using the DisplayPort connection, simultaneous 10-bit colour display is possible, via a 14bit look-up table, which means the display is capable of displaying more than one billion colours at once. The monitor supports a number of calibration devices which are needed for use with the BenQ Palette Master Element software. The devices supported include: X-Rite i1 Display Pro / i1 Pro / i1 Pro 2 & Datacolor Spyder 4 and Spyder 5‎. You'll need to download the software from BenQ's website. Unfortunately, the software isn't included on the CD in the box, which is a shame, although it does mean you will be downloading the latest version. For 10-bit colour you need to use the DisplayPort cable. For HDR (High Dynamic Range) you need to use the provided HDMI cable, and with this cable, you're able to display the full resolution of 3840x2160. The BenQ SW320 manual (on CD) says that you need to "Make sure HDR content is available. Content may come from 4K UHD (Blue-Ray) or new HDR games on Xbox One S and PS4 Pro." The NVidia GeForce 1050 graphics card also supports HDR, and it looks like if you have the right games, then you might be able to play games in HDR. HDMI cables come in a number of different specifications, and in order to support the full resolution of the monitor you need to ensure your cable (and graphics card) is the correct type. The BenQ SW320 has a business like design at the front and back, with little flare, except for a blue ring for putting the cables through. A weight of 18.7kg is quite heavy, although the stand has no problem supporting the weight, whilst offering ease of adjustment for height, tilt and orientation. The power light and on/off button isn't too bright a white, and you can alter the brightness of this, as well as turn it off completely if you want. A cable tidy is included on the rear of the stand for keeping everything neat once it’s set up how you like. There's also a handle at the top, making it easier to lift the monitor if needed. 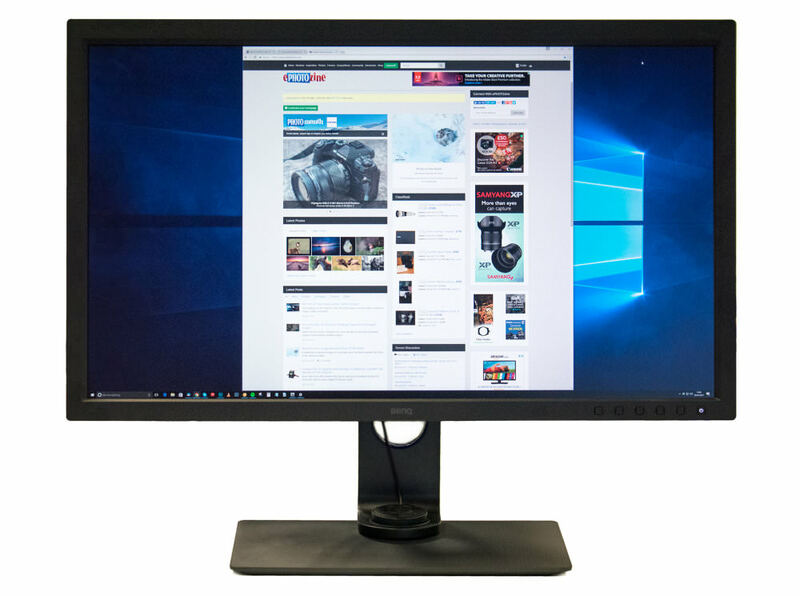 The monitor can swivel 45 degrees left and right, which isn't much when compared to an EIZO ColorEdge monitor, and if you regularly want to show others what's on your screen then this may feel limiting. The screen tilts down -5 degrees and up 20 degrees. 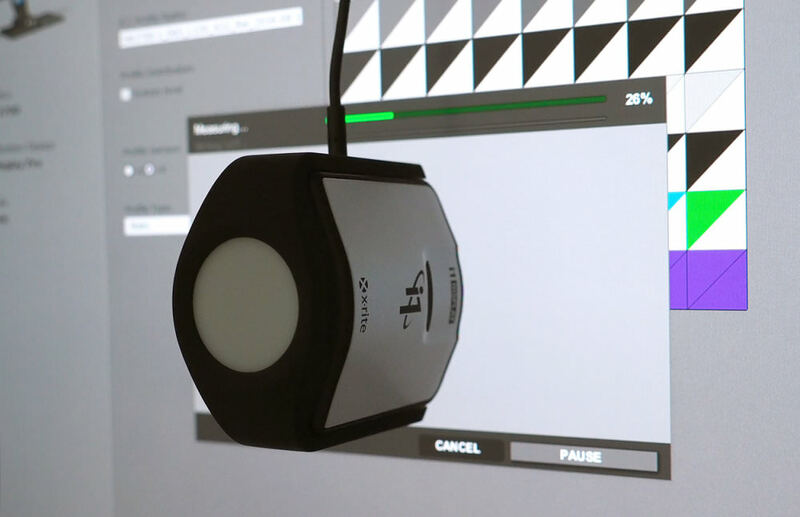 You can quickly change between calibration profiles using the remote controller, and you can set buttons 1, 2, and 3 to your preferred colour modes. 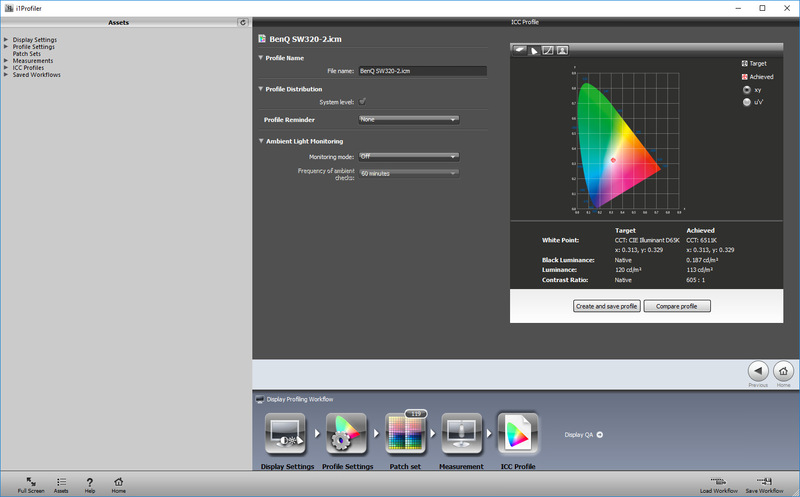 There are a plethora of built-in colour modes: Standard, AdobeRGB, sRGB, Black and White, Rec. 709, DCI-P3, Darkroom, HDR, Calibration 1, Calibration 2, Custom1, Custom2, CAD/CAM, and Animation. The ports available are HDMI, Displayport, Mini DisplayPort, as well as a headphone socket, a USB upstream connection, and MicroUSB for the Hotkey remote control. There are two USB 3.0 sockets and an SD card reader on the left-hand side of the monitor. There is no way to attach a device via an analogue connection to this display, so owners of computers using older graphics hardware (or many older Windows/Linux compatible laptops) may need to upgrade their equipment to use this monitor. A full range of cables and a hood for shading the display are provided in the box, leaving you wanting nothing, in order to set it up. 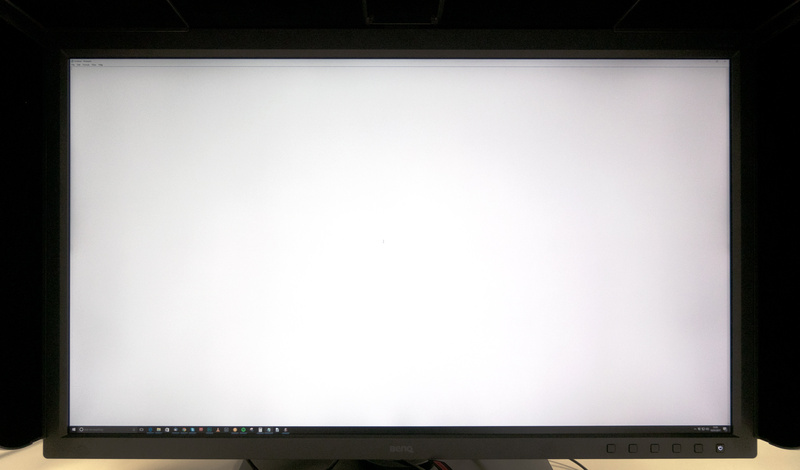 One of the toughest tests for any monitor is how well a monitor can display white. So we've taken a photo of the screen displaying 100% white, with white balance on the camera set using the central point of the monitor. This was taken with uniformity switched on. The monitor has a slight magenta / pink hue on the right-hand side of the monitor, and a slight green cast on the left-hand side of the monitor. The resolution of 3840x2160‎ provides plenty of working space, while text is just about comfortable to read due to the large size of the screen, although you may want to increase the font size on your PC. This resolution provides more than enough space for working with several programs on at the same time, and you can view a full 8 megapixel photo at 100% on the screen. If you regularly deal with large images, or need to view a lot of an image, in detail, then the high-resolution will be particularly useful. For 4K (UHD) video, the monitor's resolution is ideal, letting you view the full detail in the video. Viewing angles are 178 degrees for both vertical and horizontal, which is very good. Although the viewing angle is typical for a high-end display using IPS panel technology, those who are used to the older TN panel technology will be impressed by the difference this makes. Colour and brightness remain consistent, even when viewing the screen from almost any angle. Video quality is good with excellent blacks and good contrast, and the screen updates quickly with no visible ghosting even with rapidly changing action. There is very little backlight bleed which is common on budget orientated monitors using IPS panel technology. The matt screen surface also helps to ensure reflections are kept to a minimum, although there was a slight reflection visible with bright light sources. Out of the box, there is a slightly cool colour to the image, which is resolved with colour calibration. 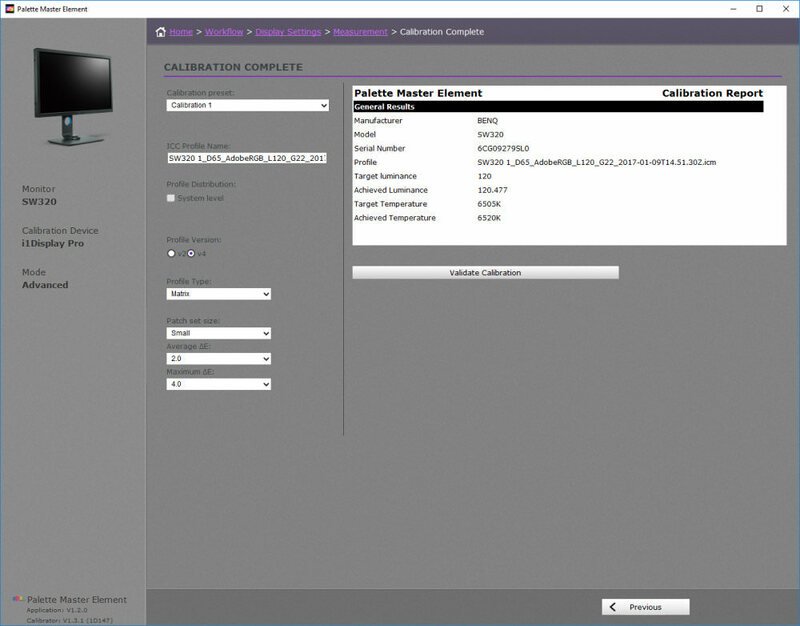 Using BenQ's software Palette Master Element you need to use a calibration device to calibrate the monitor. We used BenQ's Palette Master Element software, set the colour mode to Calibration 1, 120cd/m2, 6505K colour, and ran the calibration, with an i1 Display Pro. The results for colour temperature was 6520K, and brightness is very close to the requested 120 cd/m2 value, at 120.477 cd/m2. 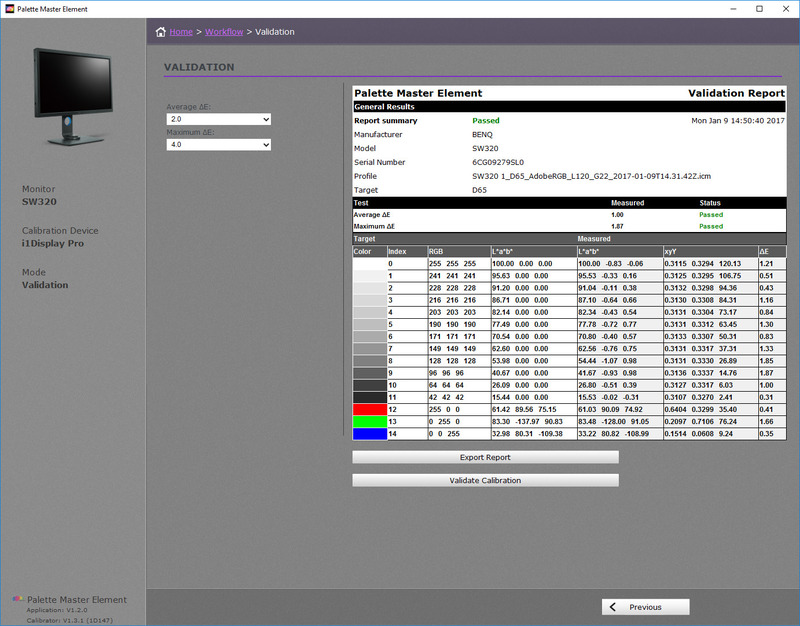 Validation Report - Using the advanced mode on Palette Master Element, you are able to measure the monitor's colour performance (Calibration 1), and we measured an average ΔE of 0.43, and a maximum ΔE of 1.01, which is excellent! Nb. Delta-E (ΔE) is the measurement of the difference between the expected or requested colour, and the actual colour measured by the calibration device. The lower this number, the better. 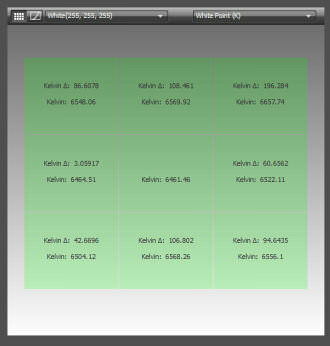 It's possible to save the results of performance as an HTML document, so that you have a record of how the monitor is performing, which could be particularly important for colour critical work, or to show that your computer and monitor is set up correctly. Or to record any changes over time. Colour results - Black luminance was measured as 0.187cd/m2, luminance 113 cd/m2 (120 requested), and contrast ratio of 605:1. Colour temperature was 6511K, which is very close to the requested 6500K. 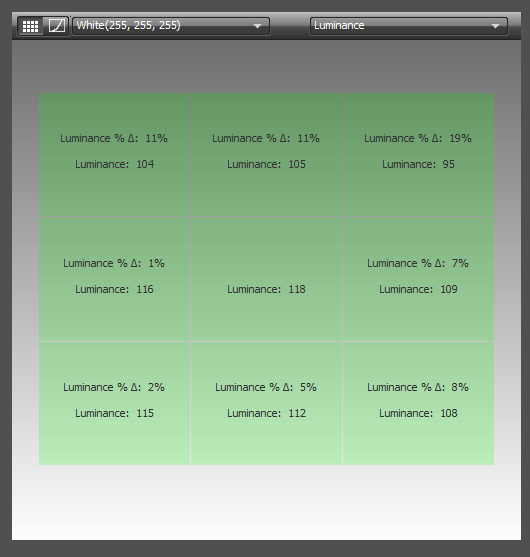 With uniformity switched off, the luminance was 120 cd/m2. Measuring the colour difference (Delta-E again), with the i1 Display Pro, the average was 0.51, maximum 1.15, again very impressive results. 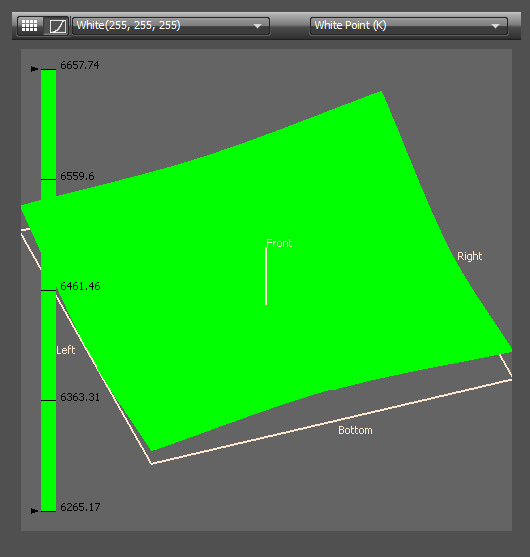 Using the i1 Display Pro and i1 Profiler Software, 6461K was the Colour temperature achieved in the centre of the monitor, but this deviated as we measured different points on the screen. Luminance was a little off the requested 120cd/m2 being 118 cd/m2 in the centre of the frame. Brightness across the screen is consistent, with the worst result a slight deviation in brightness in one corner of 19% (top, right), with most of the screen giving better uniformity. Colour temperature across the screen was quite good across the screen, although there was a stronger deviation in the top right of the screen. The colour difference across the screen, shown at the beginning of the performance section, which shows a magenta tint on the right-hand side of the screen, and a cyan tint on the left of the screen, also shows in the black and white mode, which may disappoint those interested in pure black and white viewing. However, greys are good, with them looking grey, with minimal tint, unless you've moved the image to the left or right of the screen. We measured the BenQ SW320 with a Spyder5 Elite, and it shows as having 99% of AdobeRGB, as well as 99% of sRGB and 94% NTSC. This is good, considering the monitor is described as offering 99% AdobeRGB, and an EIZO ColorEdge CG276 managed 99% AdobeRGB (and 95% NTSC) in comparison. We found the best colour results were from using a calibration device in combination with the Palette Master Element software, which meant the software was able to write the calibration results to the monitor's LUT. 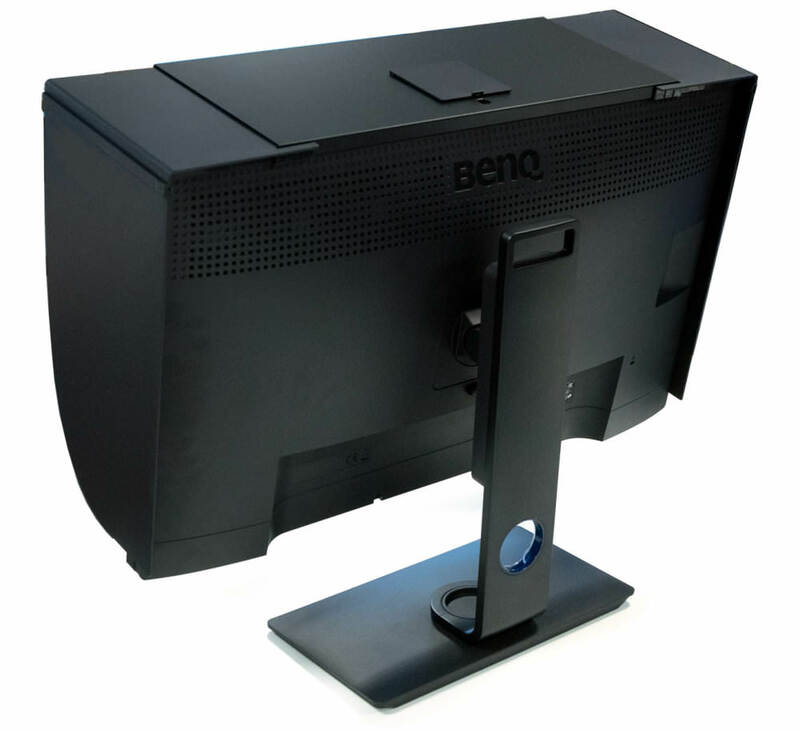 The BenQ SW320 is available for £1245 including VAT, and comes with a 3-year warranty, making it good value for money compared to other monitors on the market. An alternative, colour calibrated 4K monitor, is the EIZO ColorEdge CG318-4K (31.1inch) with DCI 4K resolution, although with a price of around £3700 it is a little bit more expensive. There's also the NEC PA322UHD available for around £2665. If you want to see more of your image, or need to view and edit 4K video, or you plan on using your monitor for 4K video watching in a living room (for example), then the size of the monitor is likely to appeal. 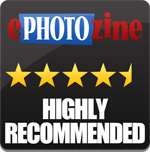 Once calibrated the image displays excellent colour, and viewing photographs is a pleasure. The monitor is well designed, and the remote control makes it easier and quicker to change settings, and the built-in USB3 hub with SD card reader is an excellent addition. 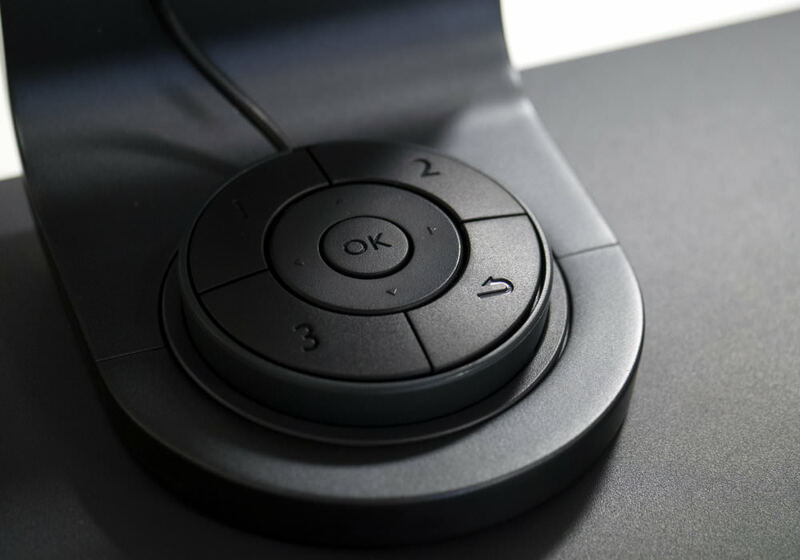 The monitor and hood are ergonomically designed, with a stand that gives a reasonable range of adjustments, including the ability to swivel the screen into portrait orientation. For those that want an ultra high-resolution monitor to view 4K video, and edit photos, the BenQ SW320 is a great choice. The monitor is particularly suited for photographers, designers and graphic artists, and should also impress your friends. The BenQ SW320 delivers very good colour, along with 4K resolution and the latest connections as well as support for HDR. Any chance of a review of the "Dell Ultrasharp 32 Ultra HD 4K monitor with premier colour UP 3216Q" It seems to have a similar spec to this screen, claims 99.5% adobeRGB, and a similar price. Any chance of a review of the "Dell Ultrasharp 32 Ultra HD 4K monitor with premier colour UP 3216Q"
It seems to have a similar spec to this screen, claims 99.5% adobeRGB, and a similar price. "EIZO ColorEdge CG318-4K (31.1inch) with DCI 4K resolution, although with a price of around £3700 it is a little bit more expensive." OR three times the price. "EIZO ColorEdge CG318-4K (31.1inch) with DCI 4K resolution, although with a price of around £3700 it is a little bit more expensive." OR three times the price. Just wondering if the colour shift on the right and left sides of the screen ( BenQ monitor) was rectified after calibration? [quote]Just wondering if the colour shift on the right and left sides of the screen ( BenQ monitor) was rectified after calibration? [/quote] No unfortunately not. Quote:Just wondering if the colour shift on the right and left sides of the screen ( BenQ monitor) was rectified after calibration? Delta Colour Performance screenshot there are outlines around a couple of the patches. Do you know what these Red / Yellow outlines indicate ? I get them when calibrating my iMac but the patches are not necessarily the same each time. Delta Colour Performance screenshot there are outlines around a couple of the patches. Do you know what these Red / Yellow outlines indicate ? I get them when calibrating my iMac but the patches are not necessarily the same each time. [quote]Delta Colour Performance screenshot there are outlines around a couple of the patches. Do you know what these Red / Yellow outlines indicate ? I get them when calibrating my iMac but the patches are not necessarily the same each time. [/quote] The red shows the highest ΔE, the yellow shows the second highest, so these are highlighting the worst values / colours. Quote:Delta Colour Performance screenshot there are outlines around a couple of the patches. The red shows the highest ΔE, the yellow shows the second highest, so these are highlighting the worst values / colours. I am interested in buying this monitor but am concerned with one of the 'cons' comments i.e. "You will need a compatible graphics card to drive the monitor". How do i know what constitutes a 'suitable' graphics card? My machine contains a AMD Ryzen5 2400G with Radeon X Vega graphics - does anyone know if this 'suitable'? Wow! What a quick response! I'm good with cameras but the computer side is certainly not my strong suit so I appreciate the timely response, I can now go out and buy one!